Leggings are, without a doubt, the comfiest trend going on right now! Who doesn’t want to go about their day in leggings and a comfy top any day of the week? The question is…how can you make sure that feeling comfy doesn’t result in looking…sloppy? We’ve teamed up with fashion expert Deborah, also known as Fabulous After 40, to show you very easy ways to look great in leggings! 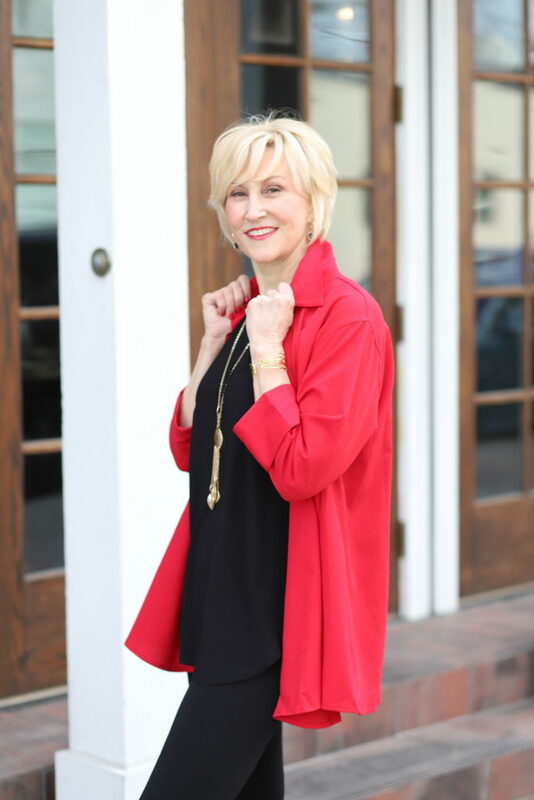 Check out her latest blog post featuring styles from our 2018 Spring Collection. 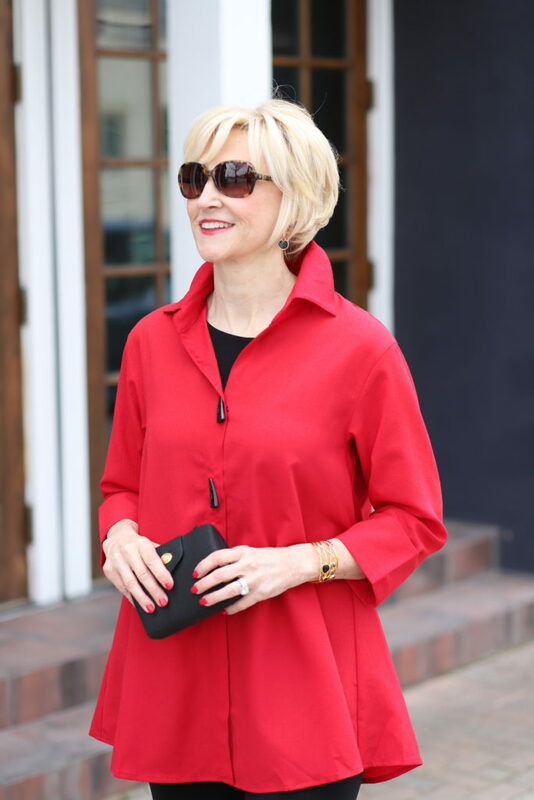 Now, the key is putting together an outfit that is both comfortable and fashionable, that will allow you to move seamlessly from one activity to another without ever looking (or feeling) out of place. Deborah is wearing our Reversible Sleeve Shawl in Fuchsia, Soft Tank in black, and our Sparkly Wave Legging. 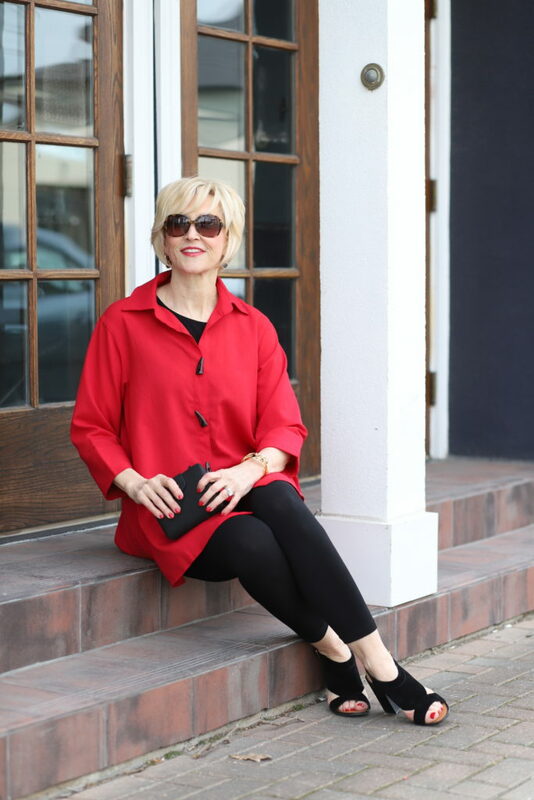 Deborah is wearing our Effortless Relaxed Shirt in red, Soft Tank in black, and our Classic Legging. WANT TO WIN ONE OF THE TWO OUTFITS YOU SEE ABOVE? 1. Like the photo of Deborah on our Instagram page. 2. Follow @redcoralfashion and @fabulousafter40 on Instagram. 3. Tag a friend you know who would love to win, too! Enter before Monday, April 30, 2018 at 10:00 am EDT for your chance to Win One Of Deborah’s Red Coral Fashion Outfits! A winner for each outfit will be contacted via email. Contest Rules: No purchase necessary. 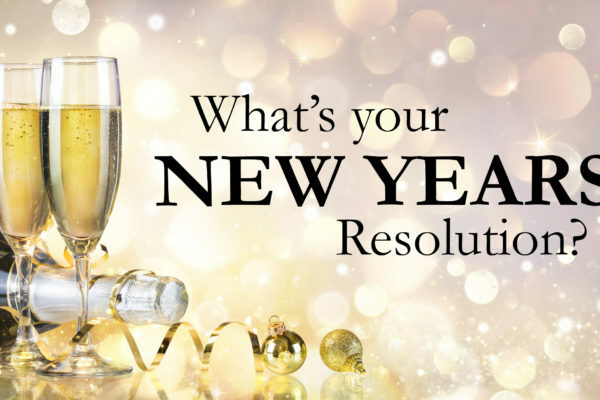 Contest is open to Canadian and U.S. residents. Contest closes 30/04/18 at 10:00 am EDT. One entry per person. Two winners will be chosen to win one of the two outfits. (First outfit valued at $170 CAD and second outfit valued at $160 CAD). Odds of winning depend on number of participants entered. Previous post 6 Ways to Stylishly Wear Your Scarf Like A Celebrity! 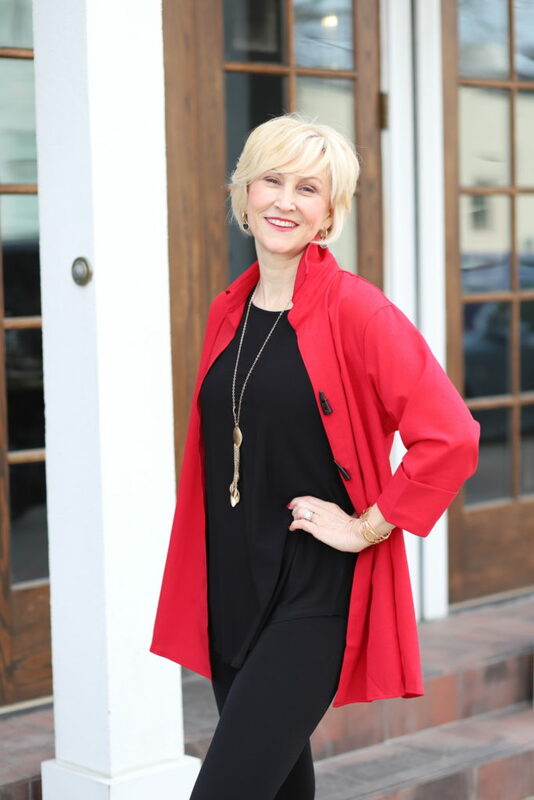 Next post 5 Great Mother’s Day Outfits for All “Types” of Moms! How do I order ??? And how long for delivery to Halifax? 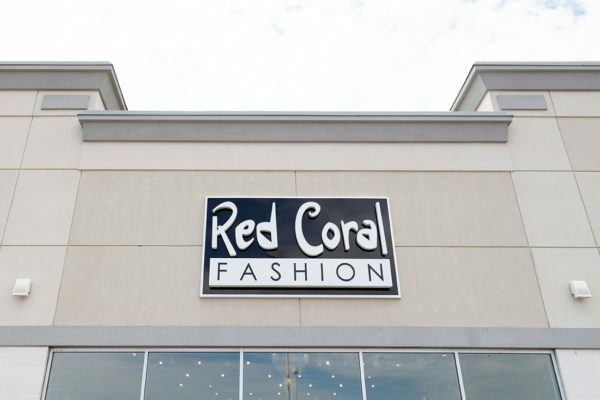 Thank you for your interest in Red Coral Fashion! 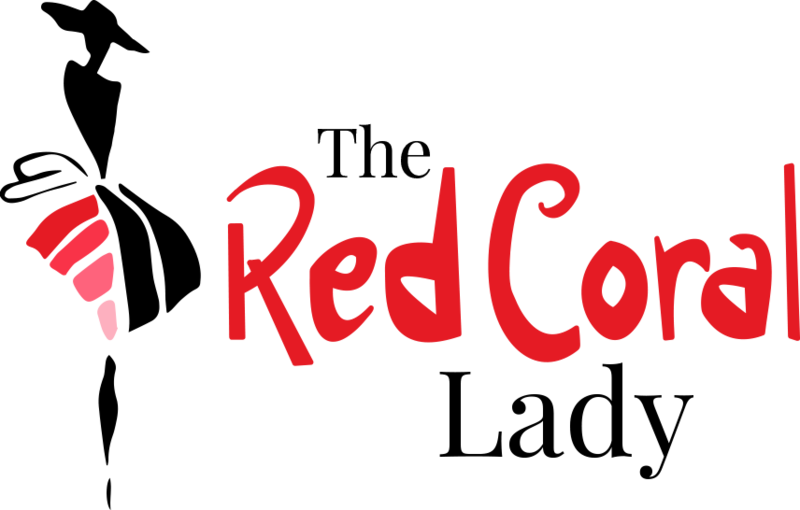 To shop, please go to http://www.redcoralfashion.com. We ship via Canada Post and would take up to 2-3 days for you to receive your order. For more information, please read here: https://redcoralfashion.com/customer-service/e-commerce-faqs/. Happy Shopping!